Mick George Ltd Bag of Gold winners! We are delighted to share the news that Cambs College RDA has won the 'Bag of Gold' competition run by Mick George skips. 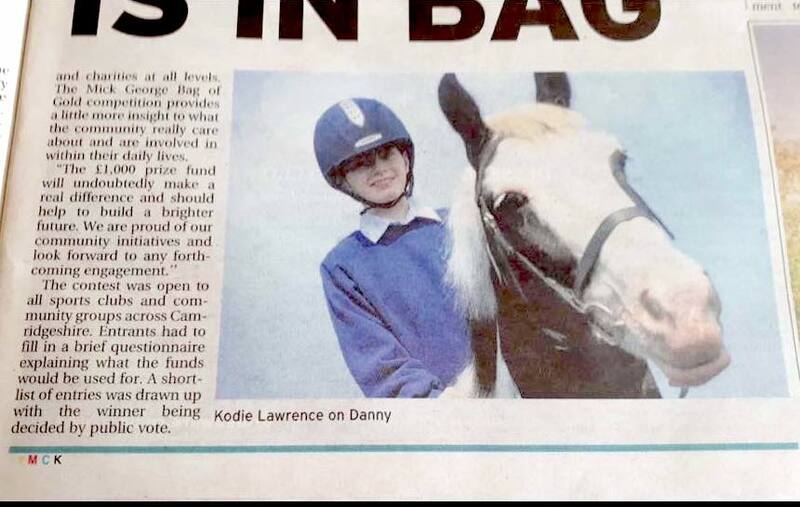 The prize of £1000 will make a huge difference to the Group - it will go a long way towards buying new horses to replace our older equines who will soon have to retire. Cambs College was just one of over 100 local charities to be nominated, 24 of which were put forward to the public vote. We were announced winners after securing the highest number of votes - thank you so much to everyone who voted for us! 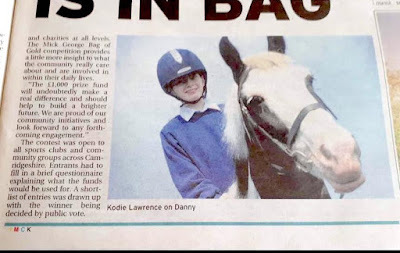 We must also thank Kate Lawrence, whose daughter Kodie is a member of Cambs College RDA. Kate was the driving force behind nominating the Group so we couldn't have done it without her! Kodie and a very cheerful Danny! 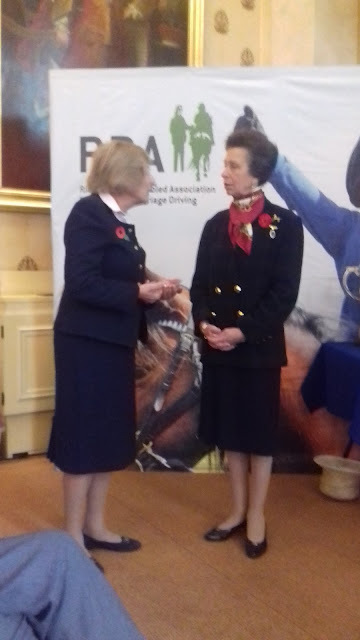 Gillian Newsum, Group Chairman, said, "Our lessons provide riders with many benefits. 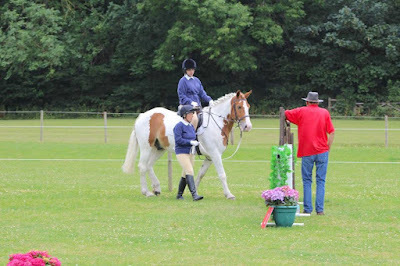 As well as physical and mental improvements, they gain a sense of achievement, a rapport with horses and they enjoy the company and support of their fellow riders. In many cases our group is the focal point for young, disabled school-leavers who can find it difficult to adjust to life after school. This year, 13 of our riders, out of group of 18 regular participants, have qualified for the RDA National Championships. 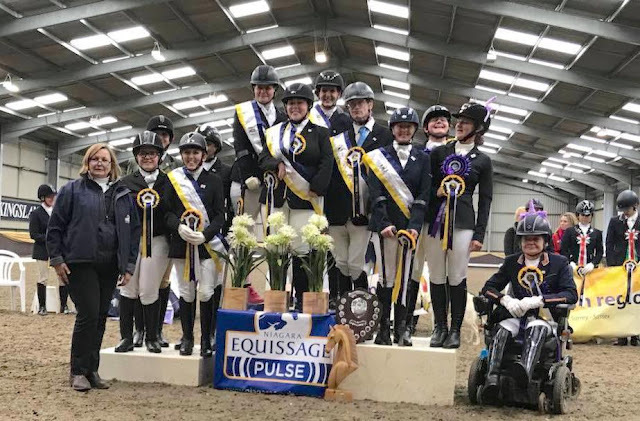 We also have two riders working at para level, one of whom was selected to represent the East Region at the Para Home International competition in April – a huge achievement and a wonderful experience." We are very excited to announce that three of our riders have been selected for the inaugural RDA Intellectual Disability Dressage Championships in association with British Dressage. 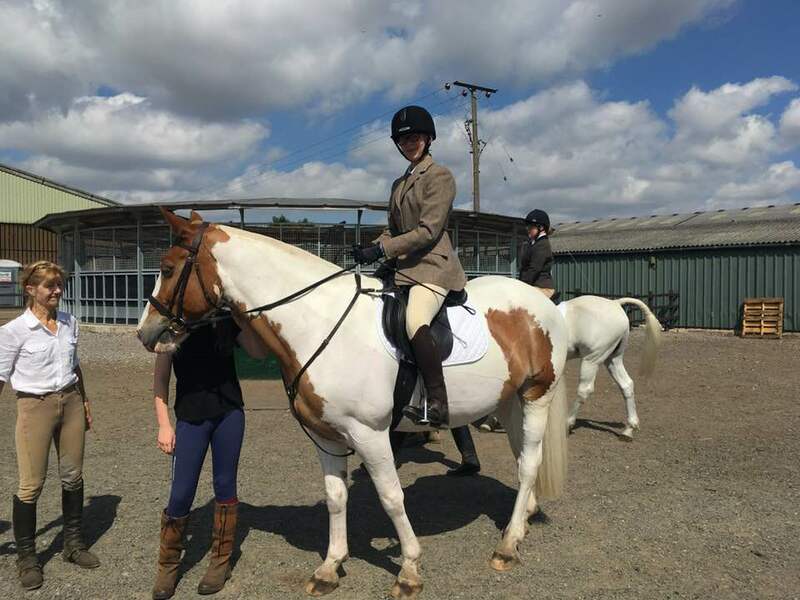 Jodie Williamson, Chloe Soanes, and Chris Bradley have all been invited on the basis of their excellent performances at this year's regional qualifier, where each of them finished in first place in their dressage classes. Three levels of tests will be on offer: walk only, walk and trot, and walk/trot/canter; these will be contested by Jodie, Chloe and Chris respectively alongside around 60 other RDA riders from across the country. It will be the first time that riders with an intellectual disability have been able to compete at this level within British Dressage. The event will take place on 1 September at Solihull Riding Club and we wish Jodie, Chloe and Chris the very best of luck! Congratulations to Eleanor Currington and Cambs College's Drunkeen Boy (aka Boysie) who represented the East Region at this year's Para Dressage Home International. They were extremely successful, with Eleanor winning the Bronze Grade 3 category on the Saturday and coming second in the same class on the Sunday. Both of Eleanor's scores were high enough to be counted towards the team total, which took them to third place overall as a team! It was the first time either Eleanor or Boysie had competed at this level and we are extremely proud of them. Eleanor hiding at the back on the left! The Kili Girls 2018 Challenge - WE DID IT!!!! 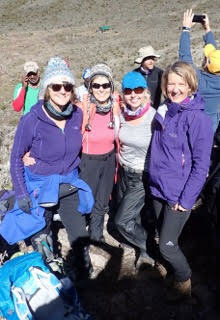 "After a year of planning, four intrepid local friends, Cathie, Chris, Franny (all from Cottenham) and Lenja (from Cambridge) made it to the top of Mount Kilimanjaro in Tanzania. Walking up the tallest freestanding mountain in the world and highest peak in Africa presented us with a few challenges and an unforgettable experience that we would like to share a little with you. The journey took us through the different climatic zones of the region; including lush, wet rainforest jungle, heath and moorland zones, alpine desert and the steep, exposed arctic summit region. Even though we had chosen the 8 day Lemosho route that allowed for acclimatization, altitude was a major challenge and something that we all had to overcome as we approached the higher stages of the trek. 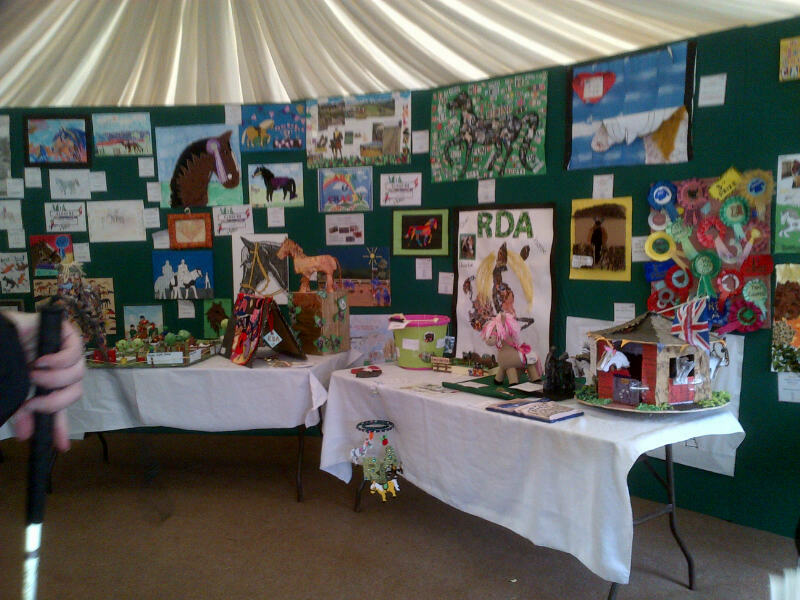 Entries are now open for this year's Arts & Crafts competition! Please read on for further information. 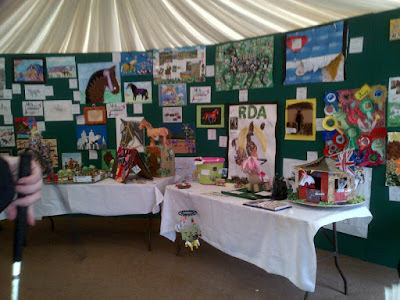 This is run through two rounds: a regional round, judged by RDA East Region officials; and a national round. The best entries from the regional competition will be put forwards to the national competition, judged at the RDA National Championships at Hartpury in July.